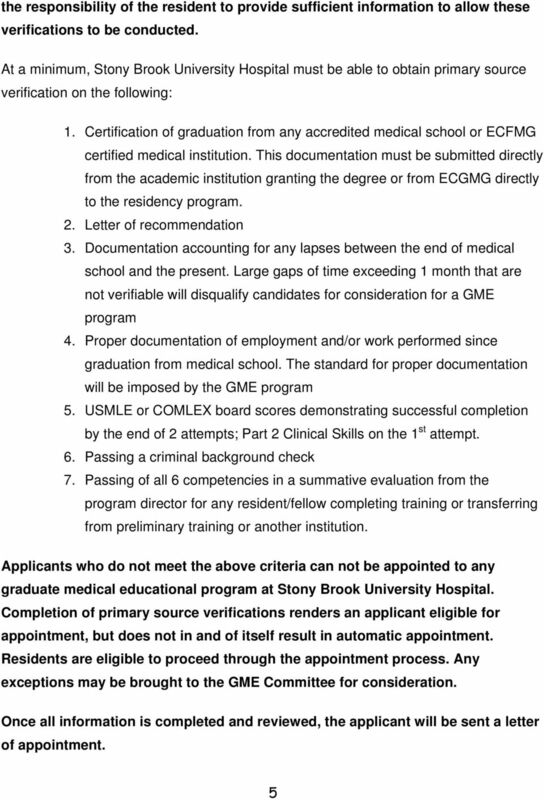 Download "STONY BROOK UNIVERSITY HOSPITAL GRADUATE MEDICAL EDUCATION POLICIES AND PROCEDURES"
IAC Ch 9, p.1. 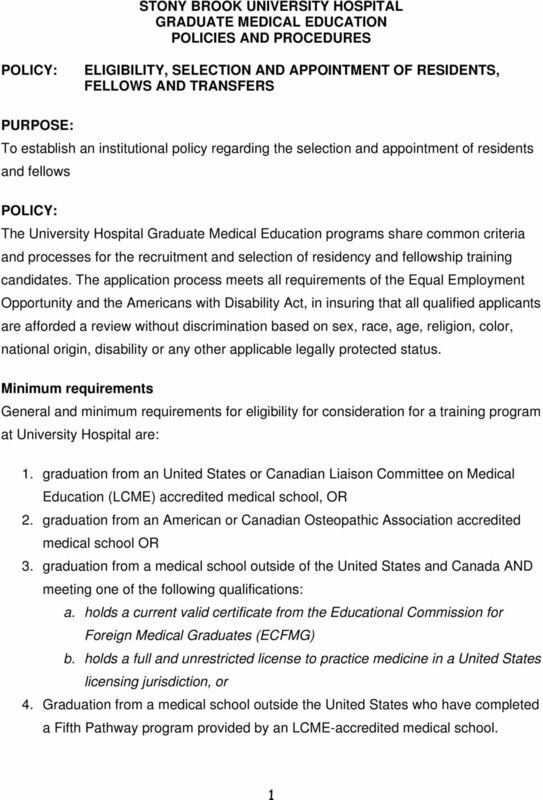 AMA means the American Medical Association, a professional organization of physicians and surgeons. Question What are the Milestones? Who developed the Milestones? 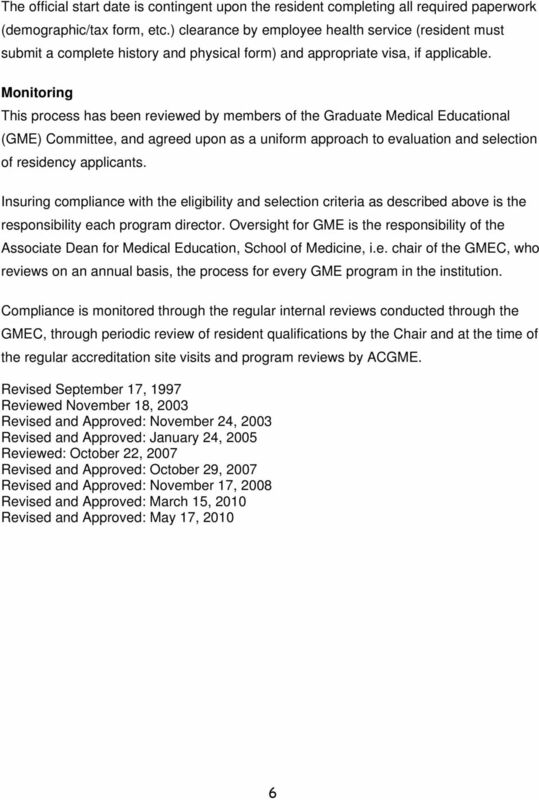 What are the Milestones Supplemental Materials? Why Milestones? Answer Simply defined, a milestone is a significant point in development. 2. To educate familiarity with the fundamental principals of clinical research and interpretation of recorded literature and peer reviewed journals. 1st Edition. 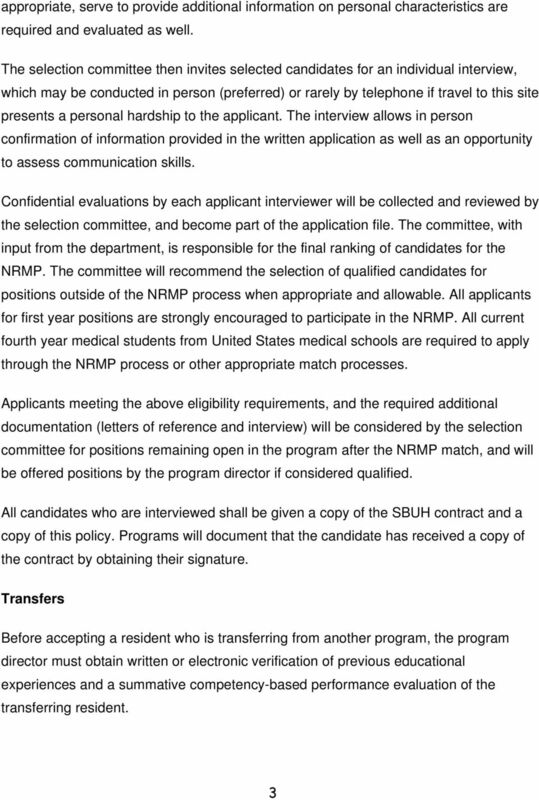 Prepared by: National Resident Matching Program and Educational Commission for Foreign Medical Graduates. January 2014. www.nrmp. Introduction There are two approved residency training models for plastic surgery, the Independent Model and the Integrated Model. 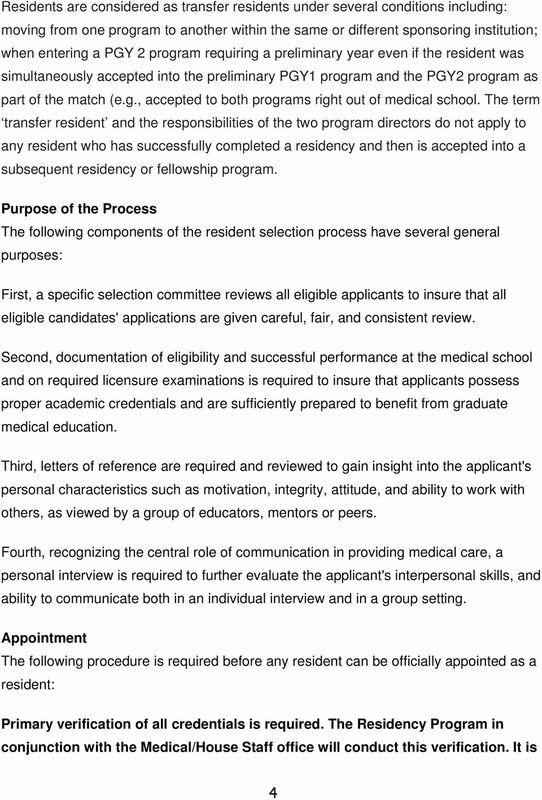 2014-2015 Resident Appointment Agreement, you are hereby offered a position as a Postgraduate Year (PGY) Resident in the Morehouse School of Medicine ( MSM ) Residency Education Program beginning and ending. 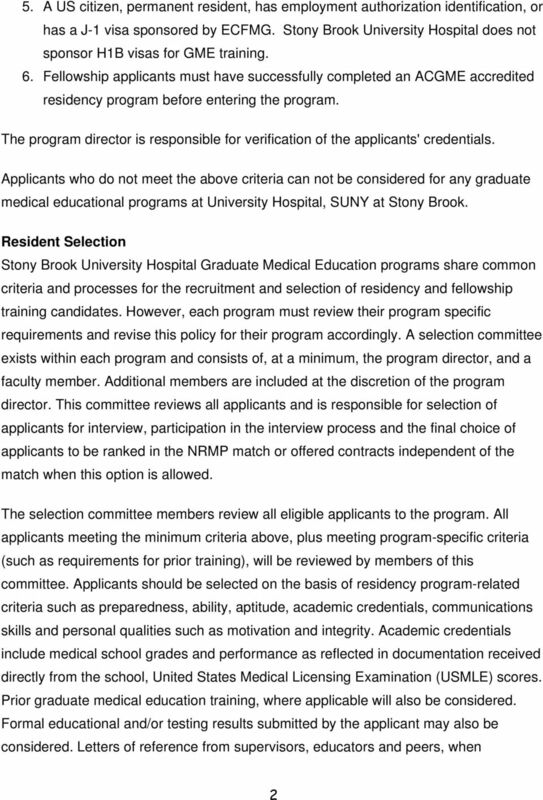 Other differences for clinical fellows in non-accredited programs on the NIH campus are illustrated in answers to the questions below.